Welcome to the social media management tools review round-up of your dreams. Social media marketers, your pains are our pains. We recently went through the process of evaluating our social management tools so we could make sure we were using the right ones for our company (hi, Buffer and Sprout Social! ), and we decided to share our findings with you. Since we’re all about the data-driven marketing here at Rival IQ, we opted for a complete review of the market, methodology that stops just short of a full-blown rubric, and plenty of commentary to keep you laughing along the way. Read on for our favorite social media management tools for companies of all sizes, and stay tuned for writeups of our favorite social media analytics and listening tools coming soon. Methodology isn’t just for benchmark reports anymore. With so many social media management tools on the market, we wanted to evaluate the best and the brightest without leaving any top contenders out or leaning too heavily towards solutions that wouldn’t be relevant for the average brand or agency. First things first: how do we define “social media management tool”? To be on this list, a tool had to be able to handle publishing for multiple social networks. Monitoring, listening, analytics, and integrations with other apps were nice bonuses, but not essential for consideration. Since we know that many of our customers evaluate their own fit with our tool based on their size, we wanted to follow their lead and come up with a list that would help brands just starting out, mid-sized companies, and the enterprise. Not that enterprise, the other one. We grouped tools by their entry price point: tools that were free or cost a cup of coffee to get started are in our free or low-cost category, while tools that cost a few dozen cups of coffee belong in our mid-market group, and if the tool was too pricey for companies to list the cost online, we considered them enterprise. Many of these tools transcend categories with a mix of free, mid-market, and enterprise offerings, which is why we grouped by entry point. We’ll call out hybrid tools that could be a good fit for a large range of budgets and brands. Since we have used or are currently digging some of these tools, we made sure to point out our own experiences wherever possible. How do I pick a tool that’s right for me? How big is my brand or agency (or nonprofit or school or spaceship–the more, the merrier!)? How big is my social media team? What’s my social media budget? If your answers are something like, “Small,” “Small,” “Post sometimes,” and “Small,” we recommend you pop down to the free or low-cost section to get started. It’s pretty much choose-your-own-adventure from there (brands with some budget and a few team members devoted to the cause should check out mid-market tools, and don’t worry, enterprise brands, there’s a section for you too). And since social media doesn’t happen in a vacuum, stay tuned for our round-ups of our favorite social media listening tools and social media analytics tools, coming soon. How it works: Buffer is a lightweight management platform primarily focused on publishing with support for all major channels. 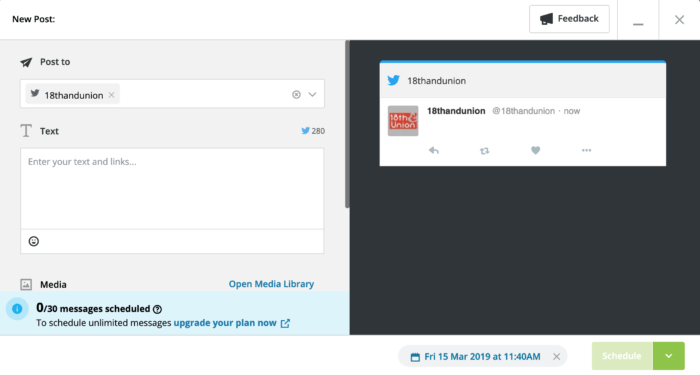 It’ll help streamline life for anyone currently managing multiple social channels natively, but doesn’t offer as many features as heftier (and higher-priced) management tools. Pros: It’s easy and inexpensive to get started, with a handy queue and mobile app to get you publishing on multiple channels right out of the box. Buffer also offers great support for teams, with shared handles and an easy approval process. Cons: No listening, and its analytics skim the surface of what you can do in native apps or other management platforms. Pricing (monthly): Free, $15, $99, $199, $399 depending on number of users, number of channels, and more. You buy an account instead of a seat (good for teams), and there’s a 20% discount for annual subscriptions. Worth noting: Buffer has a weekly podcast called “The Science of Social Media” that’s a great resource for anyone working to stay ahead of the latest social media trends. How it works: Post Planner focuses on Facebook and Twitter management to help you centralize your posting on those channels while finding new content for your social quiver. With handy features like content recycling and the ability to optimize your post timing, Post Planner is a fine (and really inexpensive) option for social media marketers who centralize their social presence on Facebook and Twitter. Pros: Users love the ability to recycle top content and the ability to search for and catalogue new content ideas on Facebook and Twitter in a centralized app. Some plans also feature a Canva integration for easy in-app image editing. Cons: Post Planner’s analytics are very lightweight–that combined with the lack of support for Instagram and YouTube means this app isn’t for everyone. Pricing (monthly): $3, $9, $19 for small businesses and $49, $99, and $199 for enterprise solutions depending on number of social profiles and features. Worth noting: Post Planner doesn’t offer a free trial, so you’ll have to cough up some cash before you can see for yourself whether it suits your needs. How it works: Hootsuite’s motto is all about simplifying social media, and a simple platform is just what you’ll get. With basic publishing and listening available for free, this is a great tool for those just starting out on social media who need to organize a few channels. Pros: With basic publishing and listening available for free, this is a great platform for those just starting out on social media who need to organize a few channels. Bonus features like their new easy-to-preview composer feature makes it a snap to see what your followers will see from your posts. Cons: With limits on number of posts, analytics, and seats depending on your plan, simple can start to feel oversimple. Pricing (monthly): Free, $29, $129, $599 depending on number of social profiles and users, as well as ad spend needs. Hootsuite also has enterprise pricing that offers consultation and personalized training for larger brands. Worth noting: Hootsuite offers nonprofit pricing via a quick application here. How it works: Sendible is all about social media management for agencies and larger teams with publishing, community management, and analytics built right in. The platform also focuses on collaboration, with easy ways to provide input and approval on posts. Pros: Agencies managing multiple clients will love Sendible’s post content approval process, whitelabeling reports, and other handy features like importing social campaigns from Excel. 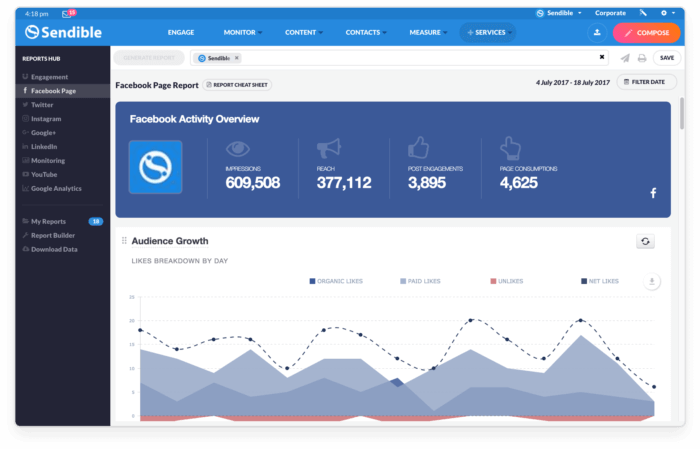 Sendible also integrates seamlessly with all the social channels you’d need along with some unexpected benefits, like Google Analytics, Canva, Blogger, CRMs, and more. Cons: Sendible gates its alerts depending on your pricing plan, so if you’re looking to respond to comments or messages in real-time, you’ll have to pay more or do so in native apps. Pricing (monthly): $29, $99, $199, $299 depending on number of seats, integrations, reporting, and more, with an annual discount. Worth noting: Between their lengthy 30-day trial and free training certification course for new customers, Sendible offers many ways to get up-to-speed with their offerings. 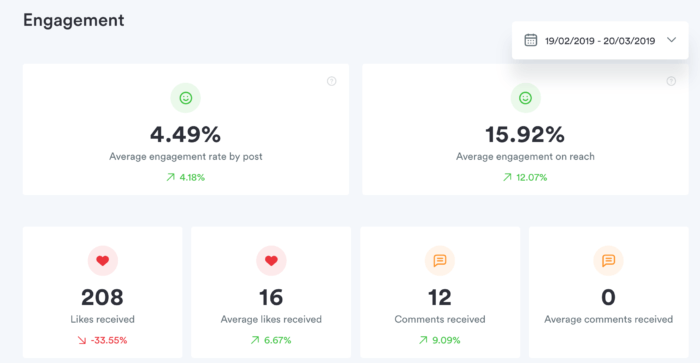 How it works: Sprout Social aims to be an all-in-one social media management tool, with a strong mix of publishing, listening, and reporting that’s helpful for teams both large and small. Pros: Sprout’s publishing workflow is especially strong: with support for multiple channels, an intuitive link preview mode so you know exactly what you’re posting, and handy image editing without leaving the app, you can rock one handle or 10 without breaking a sweat. 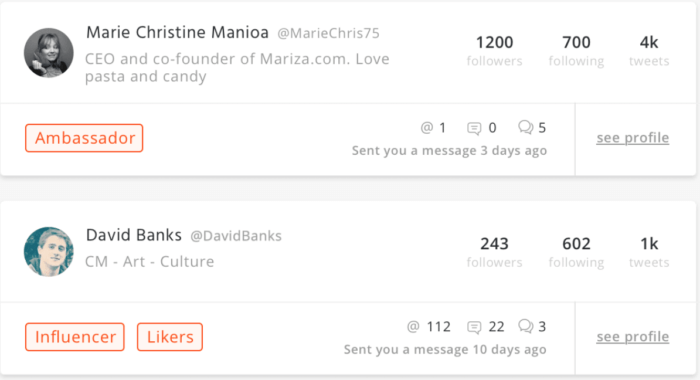 Sprout also focuses a lot on its Inbox feature, which puts all your comments, direct messages, retweets, and more in one spot so you can handle all incoming social engagement. Cons: Sprout’s á la carte pricing means the costs can add up quickly: adding another seat or bulking up your listening or analytics can quickly double or triple your price tag. Pricing (monthly): $99, $149, $249 per seat depending on features like the number of profiles and depth of analytics, with add-ons for listening, advanced analytics, advocacy, and more. Worth noting: Our two-person social team has been using Sprout to manage our publishing for the last few months, and we really dig it. How it works: Iconosquare has always been synonymous with Instagram analytics, and has also expanded to include Facebook. If you’re primarily focused on Zuckerberg-owned channels, this app’s for you. Pros: Iconosquare features Instagram and Facebook management, listening, and analytics which are beautifully designed and easy to use. Iconosquare also has a handy mobile app and some lightweight competitor analysis tools depending on your plan. Cons: If you’re using Twitter, LinkedIn, YouTube, Pinterest, or other channels that Iconosquare doesn’t support, this app won’t be your all-in-one solution. Pricing (monthly): $39, $79 per month with an annual discount depending on the number of social profiles, seats, customer service, and more. They also offer custom pricing for agencies. Worth noting: Iconosquare features several handy free tools like Instagram and Facebook audits to help you measure your performance before you buy. How it works: Agorapulse goes above and beyond a full-featured management platform with a built-in CRM and some handy AI. 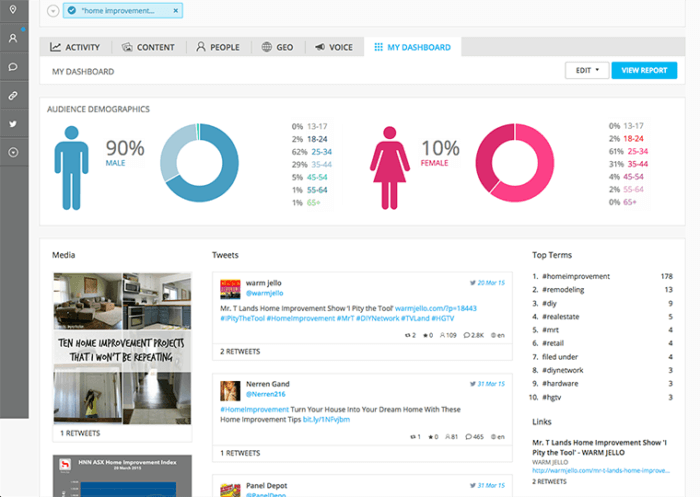 This management platform also features publishing, listening, analytics, and strong social engagement management for teams. Pros: Agorapulse stands apart thanks to its intelligent CRM aims to help you strengthen your relationships with your followers by flagging brand ambassadors and keeping track of every like, comment, and retweet organized by follower instead of by post. And our pal Ian Cleary loves their Chrome extension to help him quickly post content from the web. Cons: Agorapulse’s listening is only active on Facebook, Twitter, and Instagram, so LinkedIn and Pinterest users are out of luck in their quest for the perfect hashtag or undiscovered brand mention. Pricing (monthly): $49, $99, $199, $299 depending on social profiles, seats, and social advertising needs, with an annual discount. How it works: CoSchedule combines social publishing and marketing project management in one user-friendly app. With tons of integrations like WordPress and MailChimp alongside all your favorite social channels, CoSchedule aims to be your digital marketing hub for all things social, blog, and email. Pros: CoSchedule makes managing your editorial calendar and content strategy a breeze, and does it right alongside seamless social publishing. Many marketers are using multiple tools to manage all their marketing activities (we use a combination of Trello, HubSpot, native social publishing, WordPress, and more), so it changes the game to see every outgoing communication in one communal dashboard. Cons: User interface is a little clumsy, and it’s light on analytics. Pricing (monthly): $40, $80, $400, $1,400 depending on number of users, social profiles, and level of customization. CoSchedule is a tool that spans from mid-market to enterprise depending on your plan and needs. 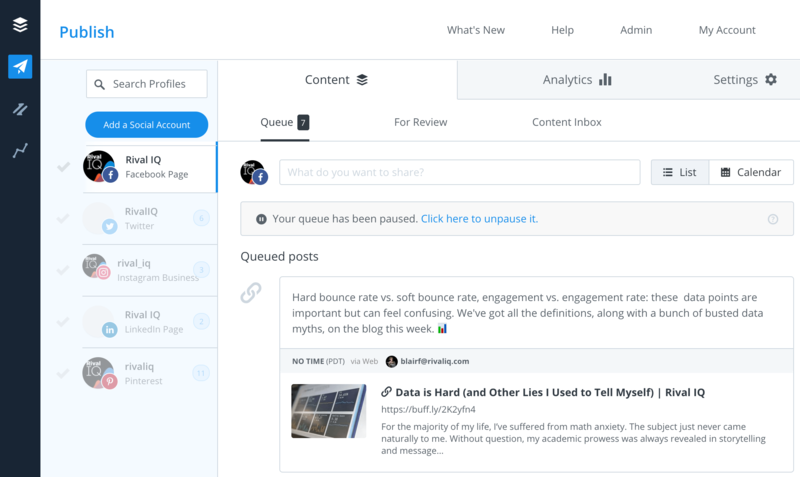 Worth noting: CoSchedule’s ReQueue feature aims to intelligently recycle your social content to keep your posting frequency and engagement high. Editor’s note: These tools generally don’t publish their pricing, so we haven’t included it here. How it works: Sprinklr is beloved by customers for its all-in-one approach to enterprise-level digital marketing solutions. 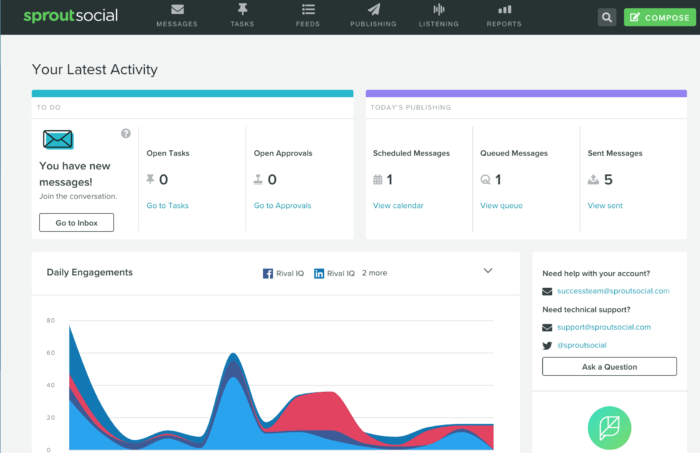 It combines the social media management tools you’d expect (publishing, monitoring, community management, analytics, and more) with built-in customer service, research, and marketing strategy tools and tons of integrations. Pros: Sprinklr features all the tools enterprise-level brands need to manage their digital marketing at scale, along with great bonus features like AI-fueled research and dedicated advertising tools to help marketers make the most of their budgets. Cons: A hefty price tag takes Sprinklr’s considerable talents out of the running for many companies. Also, why include one vowel but not the other, Sprinklr? 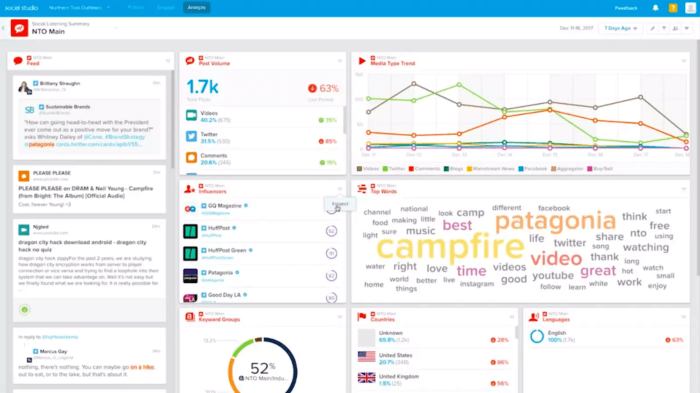 Worth noting: Ready to turn your digital marketing over to Sprinklr? They have a full stable of consultants who can help with anything from strategy to channel management. How it works: Khoros wants to be your hub for all your digital marketing activities, going beyond social management to integrate with CRMs, customer service ticketing apps, and even helps manage your digital security. Enterprise brands working at an epic scale will like having everything under one roof, but smaller companies might not need all the bells and whistles Khoros provides. Pros: Khoros aims to do it all, and promises omnichannel social media management tools in addition to their other epic suite of offerings. Brands receiving a high volume of messages and wanting to centralize their social management (listening, monitoring, publishing, community management, analytics, and more) alongside other digital marketing tools like Salesforce and Adobe will like Khoros. Cons: Khoros is too big (and likely too pricey) for smaller brands looking for social media management without the smooth and comprehensive integration with other enterprise-level apps. How it works: In addition to a full suite of social management tools, Socialbakers includes AI-fueled solutions for publishing, creating personas, community management, analytics, and more to help you better target your social content. Pros: Socialbakers is all about automating your social media management by taking the guesswork out of popular content, best times to post, content discovery, and even targeting and recruiting influencers. Cons: Plans start at $200 and only go up from there, and lower-tier plans include just a few months of history, which can be limiting for analytical marketers. Worth noting: Socialbakers offers many free social tools to help you get a sense of their offerings without plunking down a credit card. 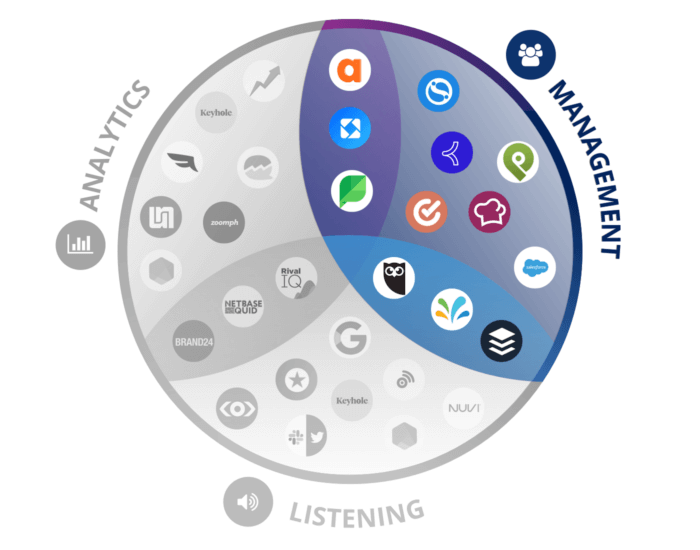 How it works: As with all its offerings, Salesforce is all about the juggernaut approach with management, monitoring, listening, and analytics (and a hefty price tag to go alongside) in their Social Studio package. Those already using Salesforce will benefit most from the Social Studio add-on, especially since the app links all the behavior of your friends and followers directly to their CRM to give you the most complete picture possible of your social media interactions. Pros: Those familiar with Salesforce won’t be surprised to hear that this tool has it all and is made specifically to help larger teams manage expansive social media programs. 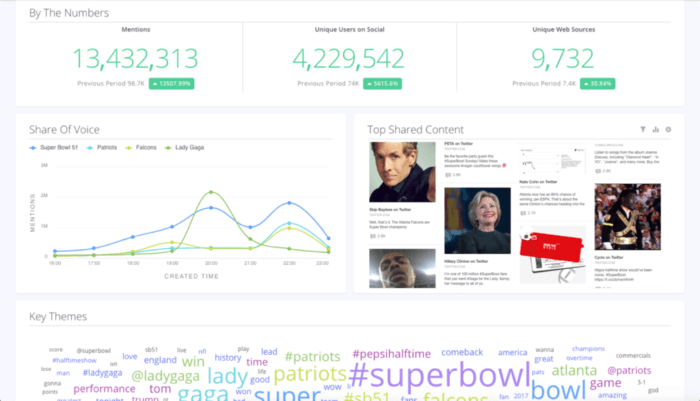 Busy social media marketers will also like their Einstein features, which uses AI to automatically classify images to help stay ahead of brand mentions and top content. 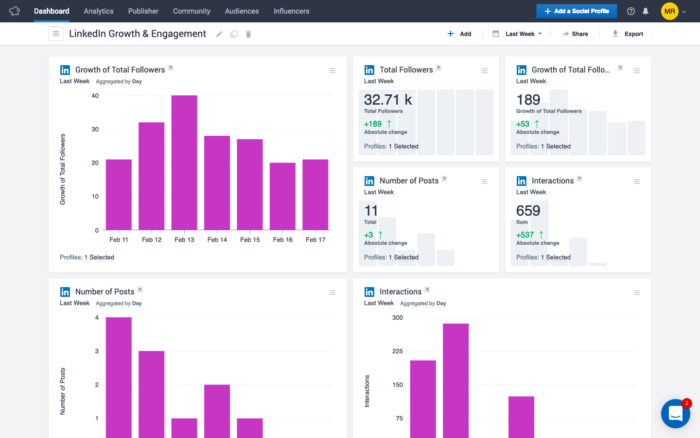 Cons: Salesforce Social Studio isn’t for everyone: smaller, more budget-conscious teams might not need this huge stack of marketing tools and their high associated cost. It stands to reason that the more dough you fork over, the more tools you can expect in your toolbox. But the “more is more” approach isn’t right for everyone, especially for budget-conscious marketers and smaller teams juggling many responsibilities beyond social. So, we’ve tried to honor the idea that there is no one-size-fits-all social media management tool in this article by laying out tools we love that could work for teams of all shapes, sizes, and budgets. Did we miss (or misrepresent) a tool that you love using to wrangle your social media publishing, monitoring, and analytics? We’d love to hear about it on Twitter!